Reuse and recycle. 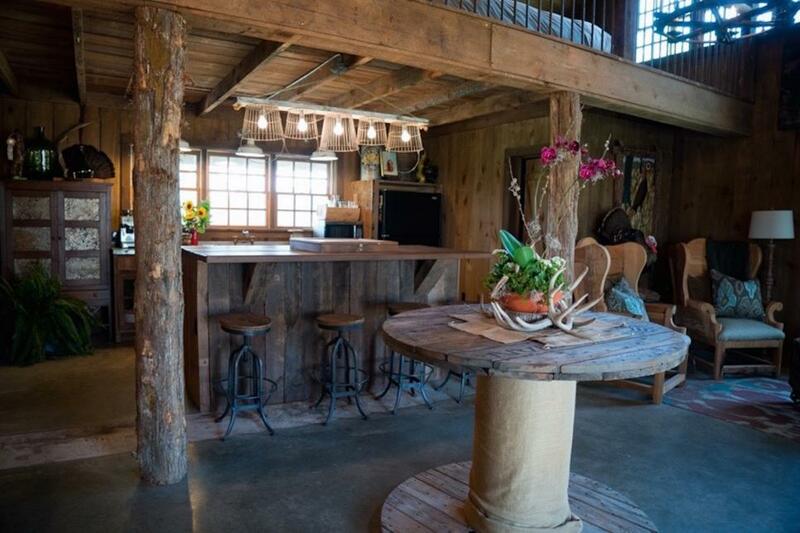 Athens Building Co. transformed an old cable spool it found on a farm for a bar height table in a rustic guest cottage in rural Georgia. 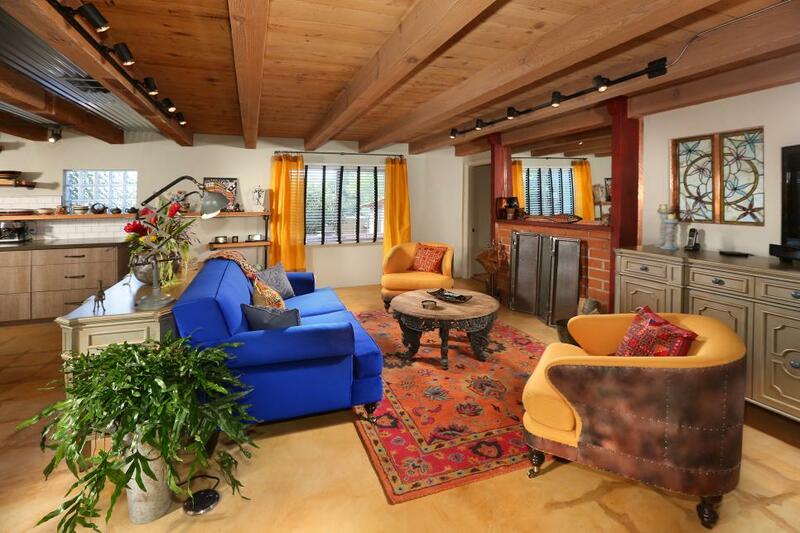 Complementary pops of royal blue and tangerine bring life to this earthy living room. 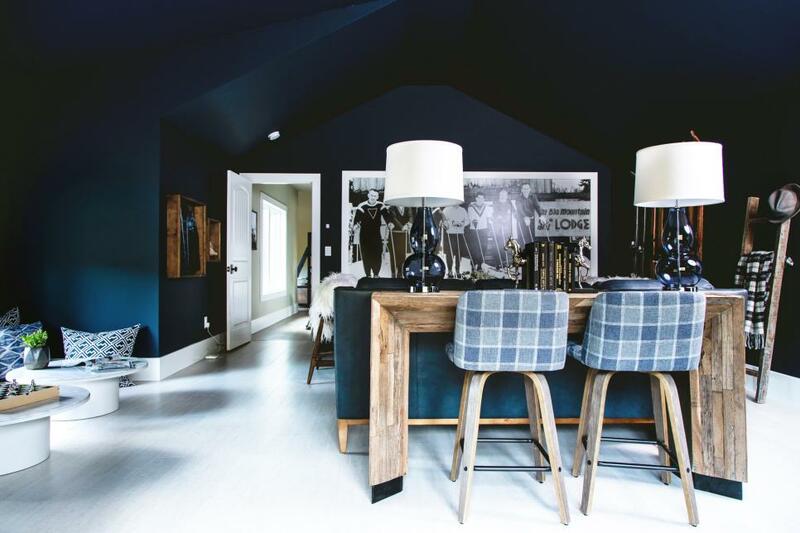 Industrial touches like corrugated tin between the beams of the kitchen ceiling blend with rustic, homey elements like a wood and wrought iron coffee table, creating an interesting and dynamic mix. 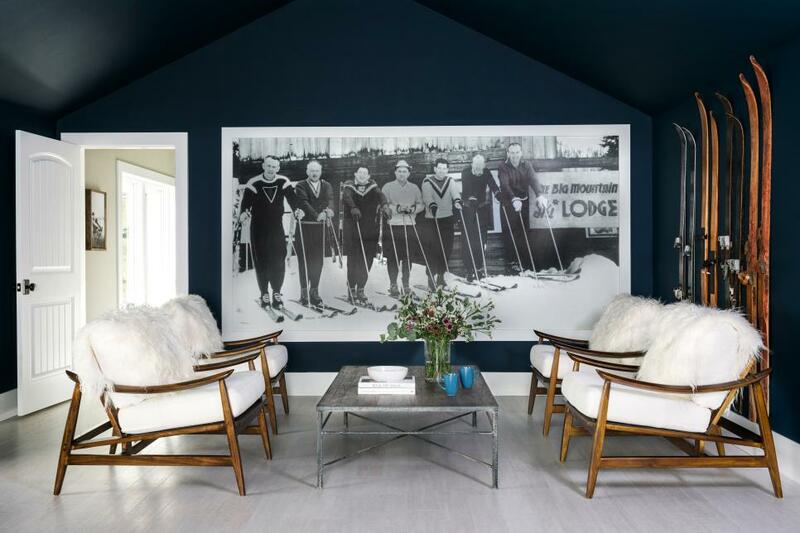 Dark navy walls and a grey floor provide a cool backdrop for the vintage photo of skiers on Whitefish’s Big Mountain to create a stunning backdrop for the sitting area in the lodge-style bonus room. After purchasing the house, Ron and Jane decided to keep all of the interior pine cladding original rather than painting or staining it. 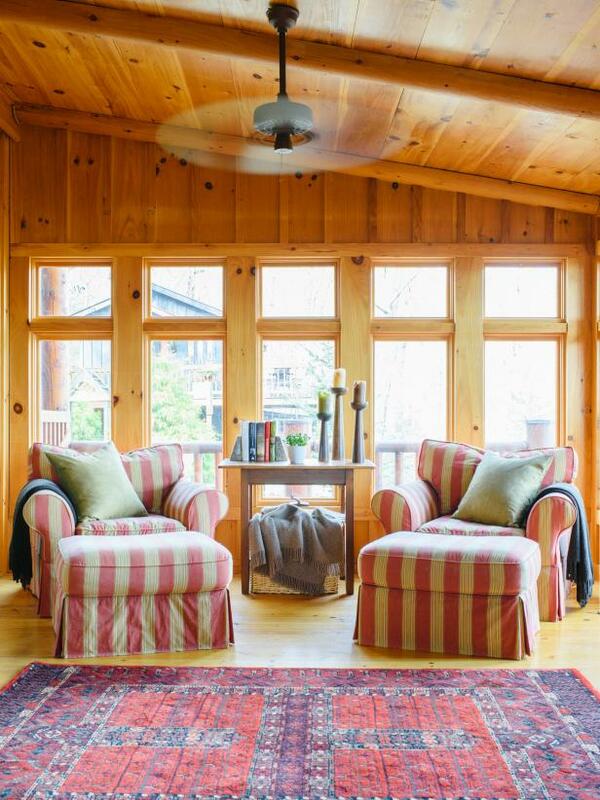 Pine is one of the most affordable woods available and evokes a casual vibe, a staple for mountain living. 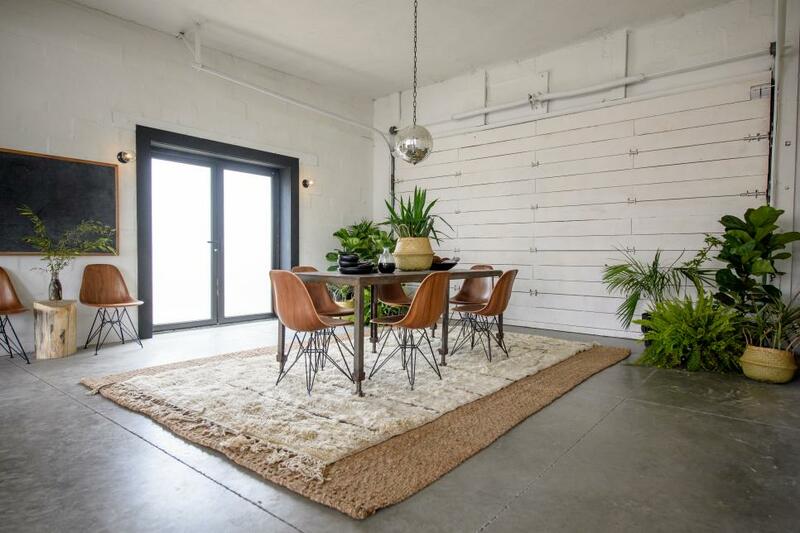 A rustic neutral dining room with brown chairs and a neutral rug is shown, as seen on HGTV's Restored by the Fords. 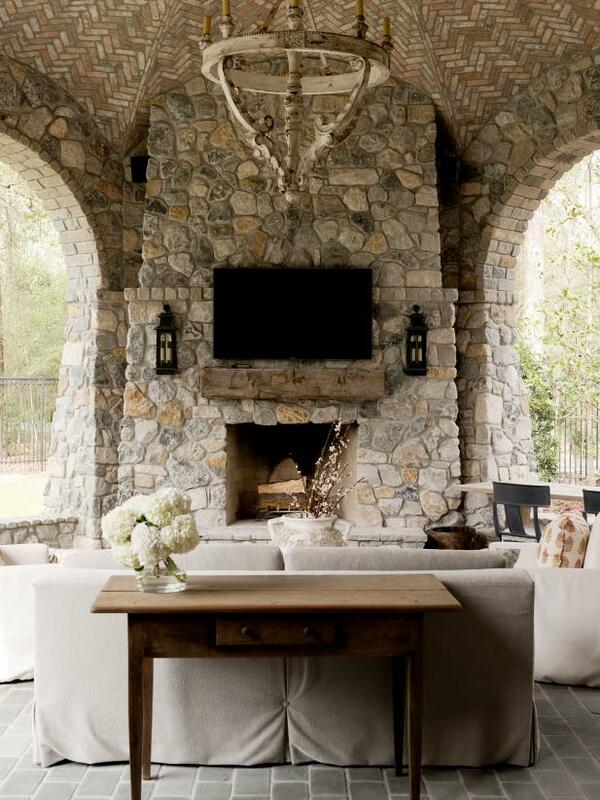 A floor-to-ceiling stone fireplace separates the living room from the entryway, making the two spaces feel extra cozy. 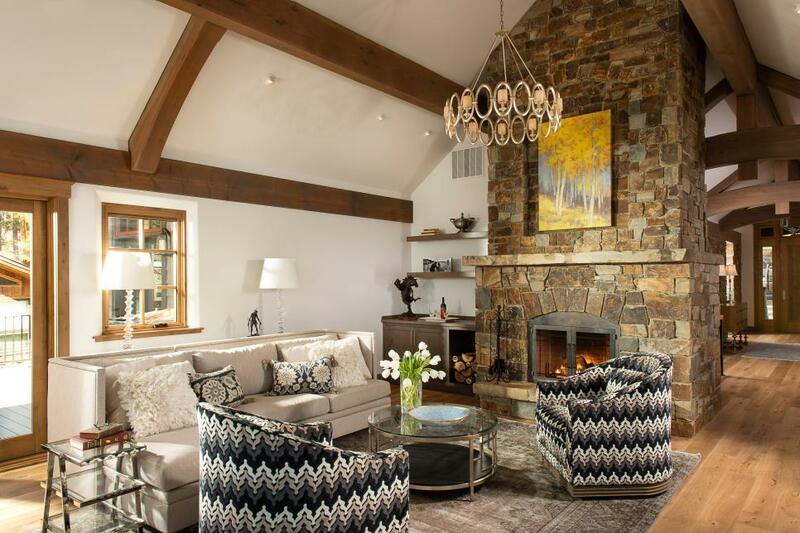 Meanwhile, a neutral sectional and two chevron-patterned armchairs ensure that there are enough seats for guests. 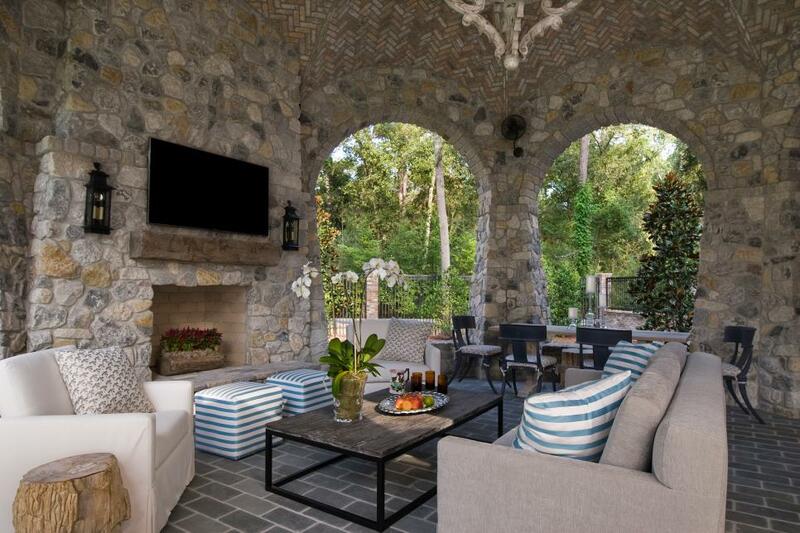 Gorgeous stone walls with large archways enclose this chic outdoor living room. The outdoor space is complete with a fireplace, cozy seating and a casual dining area. 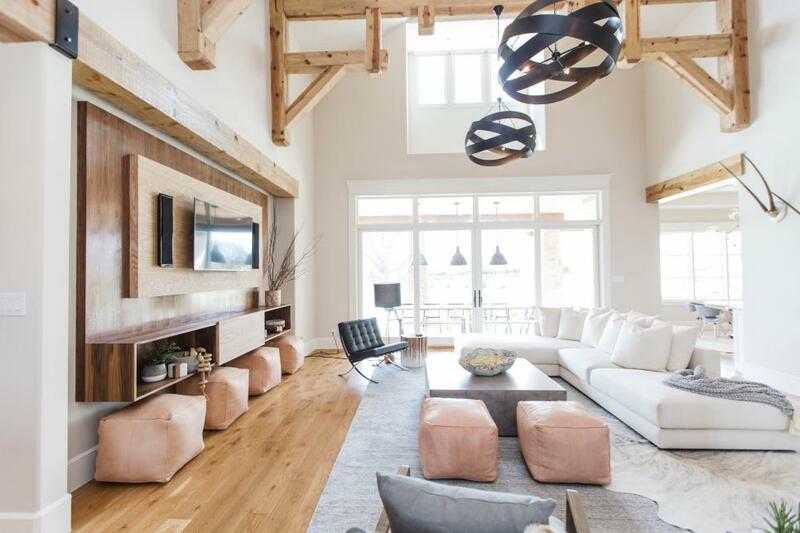 Numerous walls were removed to create an open living space in this contemporary rustic home designed by Kristi Will. Eighteen-foot sliding glass doors and a succession of full-height windows connect this room to a stunning dining deck, patio and fire pit. 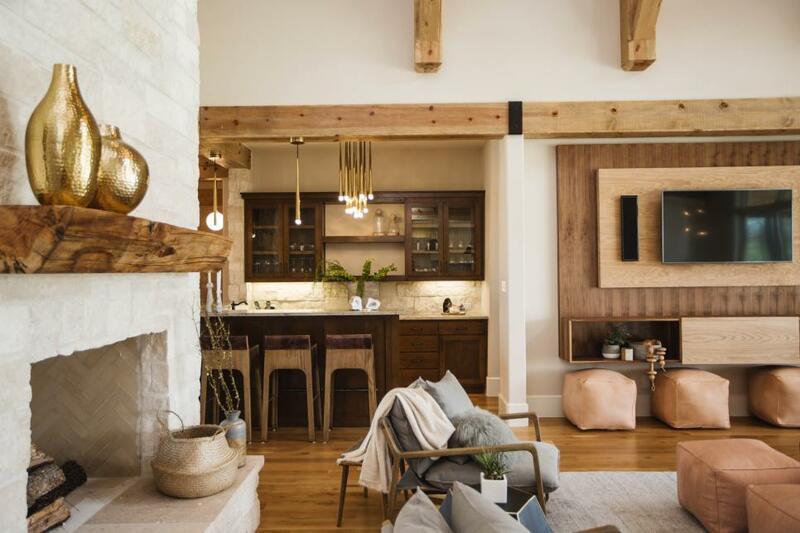 Reclaimed wood paneling balances out the height of the ceiling in this living room, ensuring the space feels cozy and warm. 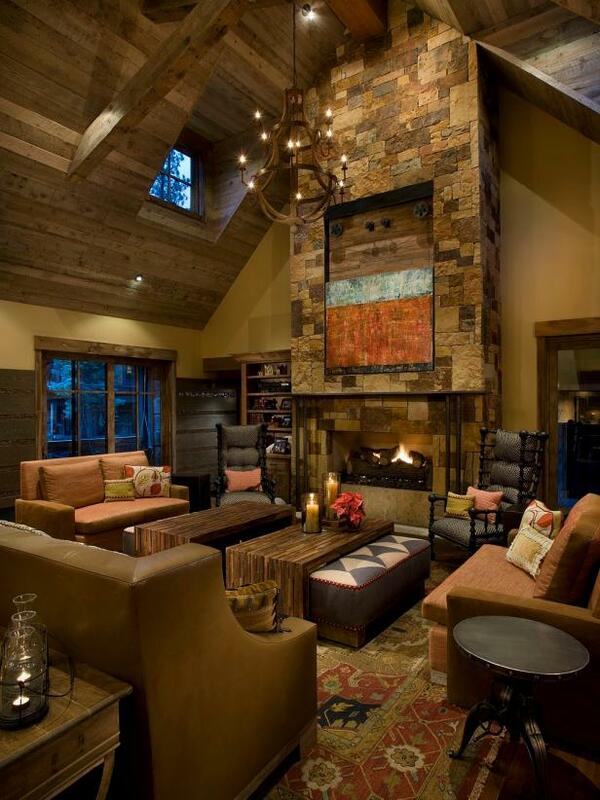 A large stone fireplace and comfortable furniture also contribute to the inviting atmosphere. 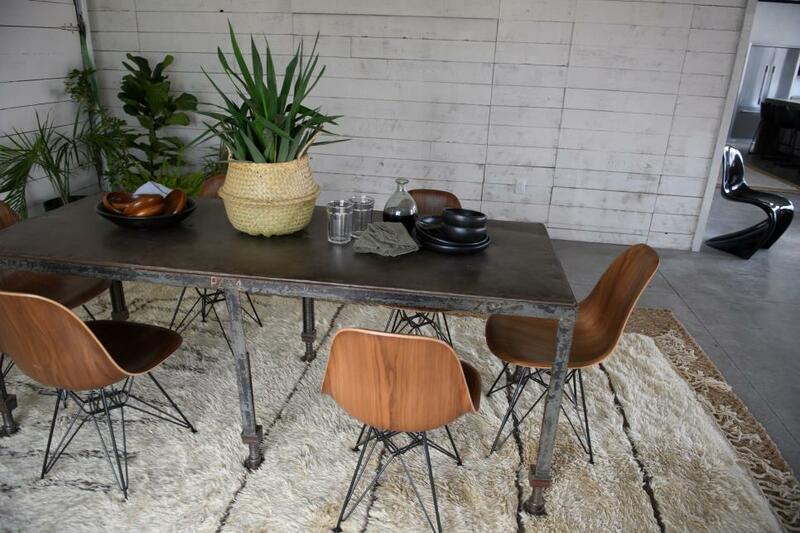 A neutral rustic dining room with a metal table is shown, as seen on HGTV's Restored by the Fords. 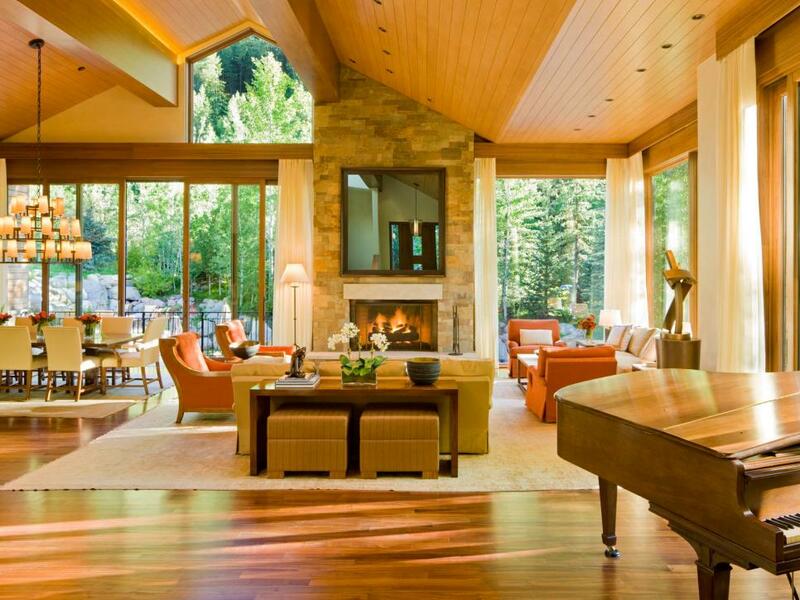 In the home's great room, enormous windows fill the walls, even following the angled line of the vaulted ceiling. 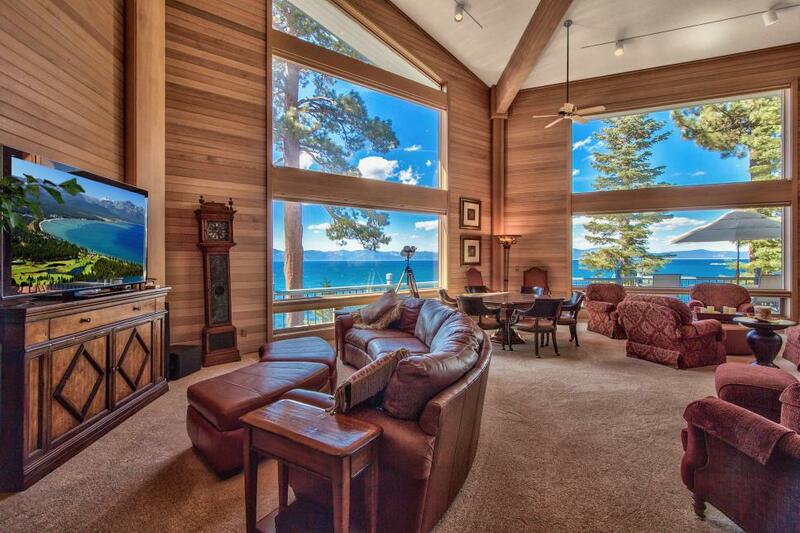 And amidst the wall's pale wood paneling, blue lake and sky vistas leap into the room. 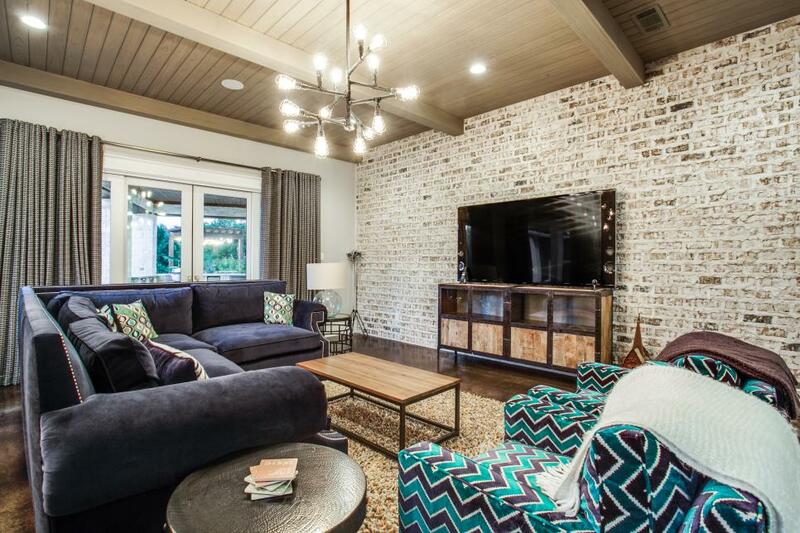 The furniture in this space gives the homeowners a perfect place to entertain. With plenty of seating in the convertible sleeper sofas, chairs and ottomans, the family can gather easily in one room, while vignettes offer a certain level of privacy. 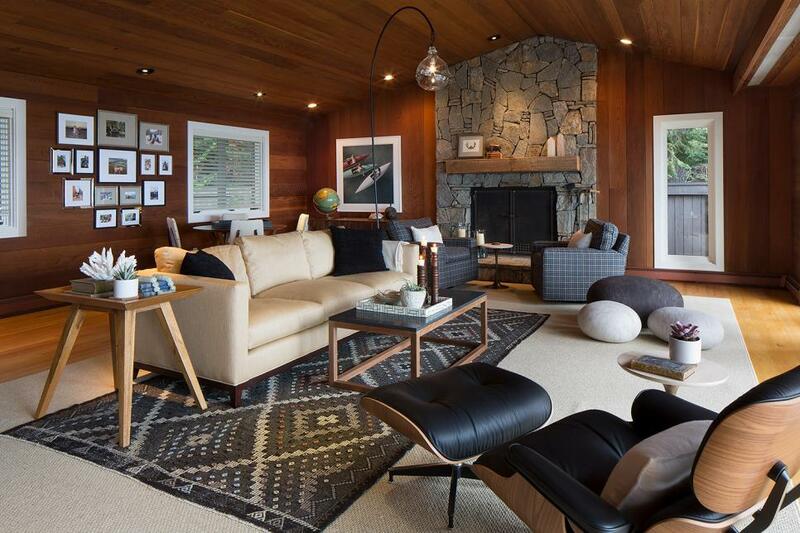 Modern end tabled and coffee table complete this sophisticated, masculine space.